Serving up our own specialized and unique perspectives on the local food movement of Southeast Georgia! LeeAnna Tatum has spent the last ten years on a personal journey of discovery about food production in the U.S. Learning the truth about conventional and factory farming, she has endeavored to change her own shopping priorities when it comes to food and to raise awareness about the ills our current food system is inflicting on our personal health, the health of the planet, local economies and animal welfare. She believes that better health and a better planet starts at home and that the answer to fixing our food systems can be found in local, sustainable food production. A passionate life-long learner, LeeAnna is currently obsessed with permaculture and organic gardening. She is in the process of turning her ¼ acre yard into a productive edible food forest. She is also learning to grow and use herbs and native plants for culinary and medicinal purposes. With a work and educational background encompassing economics, business, public administration, journalism and marketing; LeeAnna decided to create the magazine for which she, as a consumer of responsibly produced food, has been looking. 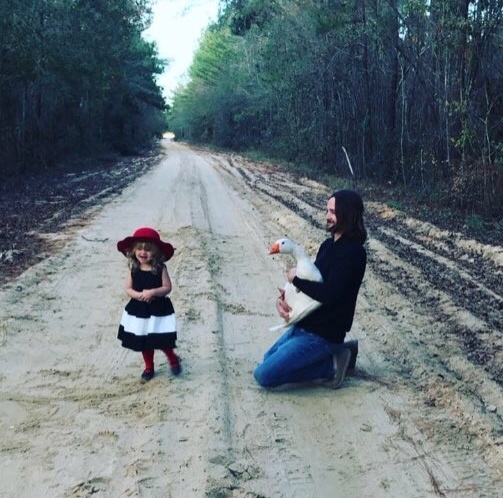 She is committed to creating a platform to help celebrate and support local food and to grow the sustainable food movement in Southeast Georgia and beyond. Rebekah Faulk Lingenfelser is a culinary TV personality, food enthusiast, writer and speaker. A finalist on Food Network Star and ABC’s The Taste, she is the longtime Statesboro Herald food columnist and the creative force behind the Southern coastal brand and blog, Some Kinda Good. A Georgia Southern University alumna, Rebekah earned her Bachelor of Science degree in public relations. She also attended Savannah Technical College’s Culinary Institute of Savannah. An advocate for supporting local, whether restaurants, farmers’ markets or small businesses, Rebekah values cooking with ingredients in season and indigenous to the Southern seacoast. 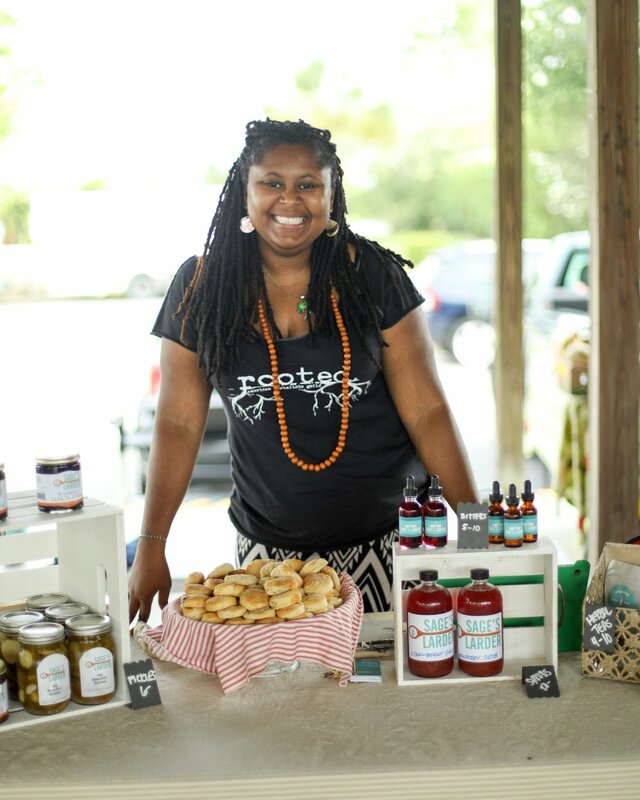 She’s a firm believer that food tastes best at its peak and takes pride in showcasing Georgia grown food. Rebekah shares cooking and entertaining tips, and easy-to-execute, flavorful recipes to encourage others to gather around the family table and share in the joy of cooking and eating together. Good food and good company, that’s what it’s all about! When she’s not cooking up a storm, you can find her singing, reading or boating along the intracoastal waterways of Southeast Georgia. A member of Community Bible Church, she resides in Savannah with her good looking, kind-hearted husband Kurt, and gregarious, 10-pound Shih Tzu Ewok. Connect with Some Kinda Good on social media and learn more by visiting RebekahLingenfelser.com. Grassroots Farm has been featured in Zagat, Garden and Gun, Eater and on PBS. Brandon is also a BBQ pitmaster who is passionate about whole hog cooking, “rooter to the tooter”. He offers a unique from-the-farm catering service. He grew up in Stone Mountain but moved to South Georgia “on a wing and a prayer” in 2012. Brandon has a History degree from Valdosta State. He believes in the power of small farms and healthy food. Brandon brings his own brand of wit and wisdom as co-host of Streak of Lean. A podcast which covers the local food system, farming, lifestyle and pretty much all things relating to rural South Georgia. Kirsten Breau comes to Savannah from New England serving a year with AmeriCorps VISTA. Growing up in Southern Vermont, Kirsten and her family were sustained by the land. They kept chickens, planted their garden each spring and canned or froze for winter everything they couldn’t eat fresh. From the time she could walk, she would trail behind her father brushing soil over the seeds he had just dropped in skinny rows. Her summers were spent in 4H on a nearby dairy learning about farming and the work that goes into tending to the land and animals. An alumna of Cornell University, Kirsten has her B.S. in International Agriculture and Rural Development. Through her work she has sought to promote sustainable, accessible food systems that support producers of all sizes in communities around the world. As she finishes her year with AmeriCorps at Forsyth Farmers’ Market Inc., she is excited to continue to pursue work and education opportunities in agriculture. Deeply aware of a gap in knowledge and understanding that creates a disconnect between producers and consumers, Kirsten is dedicated to using her writing to advocate for farmers, separate fact from fiction, and promote participation in local food systems. She seeks to effect positive change that will support agricultural production that is healthier for people, the environment, and the economy. Jovan Sage is the creator, herbalist & wellness coach behind Sage’s Larder and resident food alchemist and owner at The Farmer & The Larder. Jovan brings her experience and passion for using food as medicine to readers in every issue. As a little kid working in her grandfather’s shop at the City Market, Jovan got to explore the different food stalls, food trucks and farmers stands. She got to touch, see and taste food from all over the world and from local farms. It was there that she discovered the intoxicating allure of international spices – curries, fenugreek, cumin, paprika, peppers, ginger & turmeric. This foundation has shaped her palate, as well as, her spice and herbalist cabinet. As an event organizer and facilitator, she has coordinated conferences, events and workshops for political organizing, public policy, food and health education. She believes in bringing people together through the common language of food, organizing locally, and participating in international and national advocacy. Before moving to Georgia in 2014, Jovan lived and worked in New York City, focusing on social justice, sustainability, food and agriculture -- including working as a cafe and food retail consultant and Engagement Director for Slow Food USA. Jon Jackson is a decorated Combat veteran who served as a US Army Airborne Ranger. He founded STAG VETS, Inc. in 2014 and Comfort Farms in 2016 to assist homeless veterans, veterans in need, and veterans suffering from Post Traumatic Stress and Traumatic Brain Injury. In each issue, Jon shares his lessons learned raising heritage breed hogs. Due to his own experiences with Traumatic Brain Injury and chronic Post Traumatic Stress, Jon decided that he was not going to let PTSD and TBI determine his future, nor will he let these injuries define the thousands of vets who are suffering with no assistance. With his knowledge, exceptional leadership skills, and drive to take care of others, Jon created STAG VETS, Inc. to ensure Veterans could receive the care they deserved and use sustainable farming as a tool to build communities and instill a sense of pride into the team of vets that are working through the program. Jon's work has been featured on the Travel Channel’s Bizarre Foods with Andrew Zimmern, a TEDx Talk at Emory University, NPR, GPB, Atlanta food and Wine, Peach Fest, The Milledgeville scene, along with numerous news articles. His heritage breed pork took second place in one of the nation's toughest BBQ Competitions in New Orleans, Hogs for a Cause. Jon has also been nominated to be an exclusive member to the AGL class of 2019 Advancing Georgia Leaders in Agriculture and Forestry. Patrick J. Holladay, Ph.D. is an academic, researcher, and lover of all things outdoors. For over 20 years he has had the great privilege to work in both conservation and social sciences. His research interests focus on sustainability, resilience, and community development. His work is conducted largely through the lens of tourism but crosses into areas like agriculture, food security, natural resources and faith/spirituality. Participating in the preservation and conservation of the Earth's natural resources, humanity's lifeblood, is a deeply personal, engaging and sometimes humbling experience. Patrick first got his hands in the soil working on his grandfather’s farm in central Tennessee, learning to drive a late 1960’s International 444 beginning at the age of three. He continued to work on that farm for over 20 years bush hogging fields, feeding livestock, repairing fences and all that comes along with running a farm. More recently he volunteer-managed a large community garden in South Georgia, growing dozens of varieties of vegetables year round. These days he spends a great deal of time learning about permaculture, agroecology, agritourism and biodiversity and experimenting with these systems on his 32-acre “farm”. Over his career he has had wonderful opportunities to work in Eastern Europe, Central America, South America, the Caribbean, South East Asia and across the United States from the blistering, yet beautiful Mojave Desert of California to the diverse forest covered mountains of Southern Appalachia in South Carolina. A prolific writer, he has contributed to over 75 publications and presentations to a variety of scientific disciplines. Patrick has also held leadership positions with groups like Slow Food Coastal Georgia, Georgia Coast Travel Association, GA Grown Highway 17 Agritourism Trail, and the St. Simons African American Heritage Coalition.